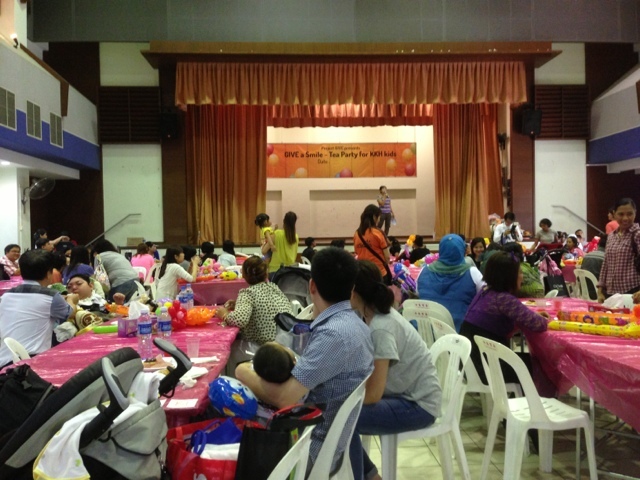 We were invited to the Project Smile Tea Party on the 6th Of July held at the Toa Payoh Central Community Club. This was a tea party open for the kids and their family under the KKH Homecare. This is a very well organized tea party I must say. Great work from the organizers, (Ah Rae, I believe). There were power points for the kids’ equipment, oxygen tank readily available should you need it. And of course yummy lunch. Look at this girl decked out in bright colours, trying to match the theme of the tea party. 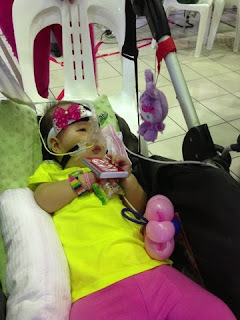 Her stroller was filled with soft small toys from Beth, an older girl who went to play and win at the game stations for Kaelyn and her own sister, Dan. And of course not forgetting balloons…kids love balloons. 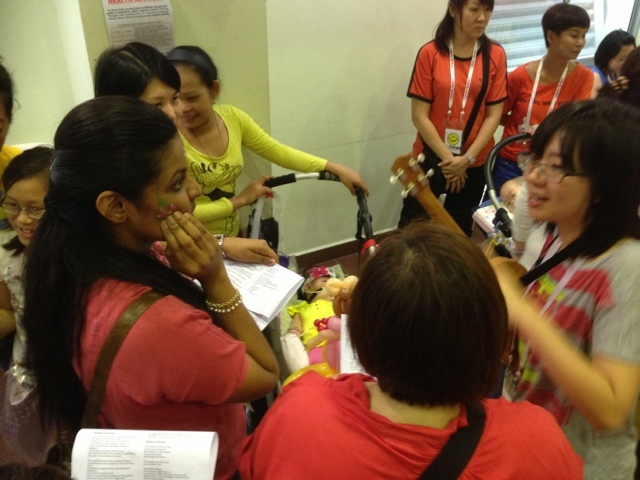 There is a choir of volunteers going around singing songs for the kids who were present. Since Kaelyn loves songs, my helper just pushed her around following them like a fan following their favourite band. This is Kaelyn getting her turn as they sang the wheels on the bus. We are very thankful of the volunteers who made this event possible and bringing smiles into the lives of these kids.